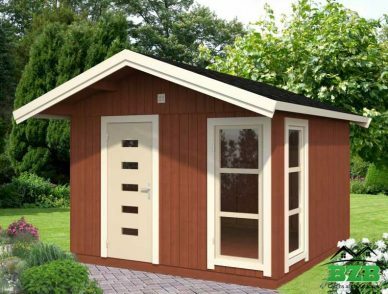 Our panel cabin kits come in many different colors and designs, so no matter what you are looking for, you can find a model that suits you. Your panel cabin can be customized on the inside and outside. It is also protected from the elements. The panels are prefabricated, which means they will withstand any kind of weather. You can also be snug during colder weather as the doors and windows are sealed to keep heat in and water out. The pieces are also made to fit together perfectly, so they are not only beautiful cabins but are also sturdy. 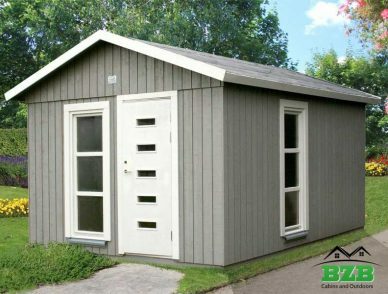 Sized just under 150 square feet, they are perfect to be built by the lake as a small vacation or boat house or elsewhere in the woods to hold all your hunting and fishing gear. They are also great to build in your favorite camping spot or to have as your all around residence if you are looking to downsize. Perfect for one or two people who are looking for a relaxing place to live, they are easy to erect and are durable. With so many different options to design your perfect panel cabin, you can create the perfect, cozy space.